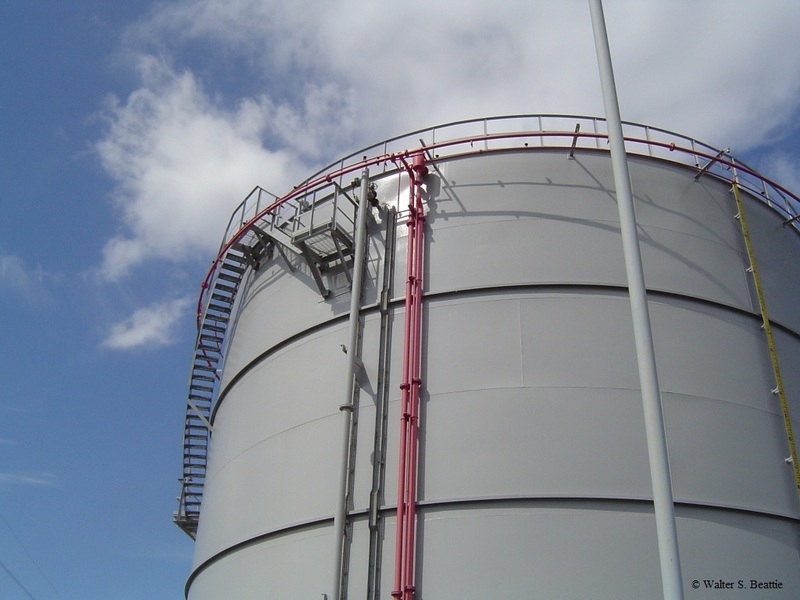 This tank stores combustible and/or flammable liquid material. Protection is provided with both interior and exterior protection. 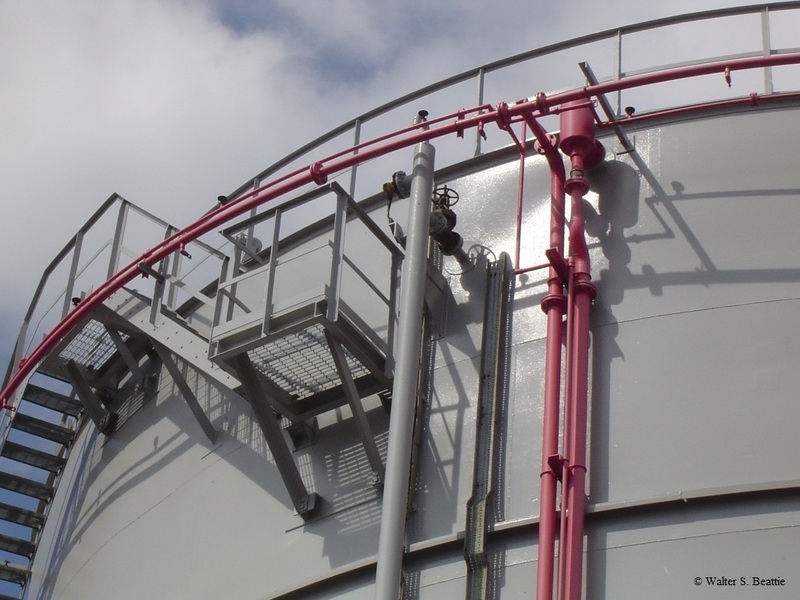 The exterior protection for the tank is provided with a ring(s) of piping which feeds open head directional sprinklers. These sprinklers may spray foam solution which has been mixed at the deluge valve, or it may spray water only. The detection is a ring(s) of sprinkler heads which are installed on a pilot line. When a sprinkler head fuses, the air pressure within the piping is released, and a deluge valve is actuated. When the deluge valve operates, water flows through the piping to the open sprinkler heads which are directed onto the sides of the tank. There is also interior foam application installed in this tank. The application device consists of an air aspirating foam expansion chamber and an integral foam maker. This style is referred to as a “Type II” top-side application device. The foam chamber is installed above the highest level of product storage. The foam concentrate is mixed into a foam solution in an area which is outside of the hazard area, and then travels to the expansion chamber. The foam expands, is discharged against a deflector plate inside the tank, and is then gently delivered onto the surface of the liquid. Flow rates are sized for each specific tank. This entry was posted on Monday, August 1st, 2011 at 11:14 pm and is filed under Uncategorized. You can follow any responses to this entry through the RSS 2.0 feed. You can leave a response, or trackback from your own site.